Yakima drivers who need a new vehicle for their growing family shouldn’t rule out a Dodge 3-row SUV. Whether you’re looking for a 6-passenger vehicle or a 7-passenger vehicle, no matter: you’ll be able to take the family to a Wenatchee restaurant safely and efficiently. You’ll get plenty of space to 6 or 7 passengers comfortably, without compromising cargo room! For example, behind the Dodge Durango 3rd-row of seating, you’ll get 17.2 cubic feet of space. Check out our inventory of Dodge 6-passenger vehicles and 7-passenger vehicles below, then contact us to set up a test drive! 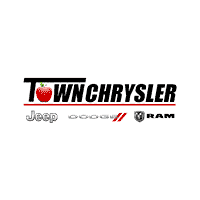 Why Rely on Town Chrysler Jeep Dodge Ram for Your Automotive Needs? When you’re ready to upgrade your Moses Lake commutes with a spacious Dodge 3-row SUV, our finance specialists will help you lock down a loan or create the ideal payment plan. If you’d like, you can even apply for financing online to get pre-approved. The Dodge specialists at Town Chrysler Jeep Dodge Ram look forward to helping you! Torn between Dodge and Jeep? Compare the Jeep Grand Cherokee vs. Dodge Durango to find out which one would better suit your Ephrata driving needs.